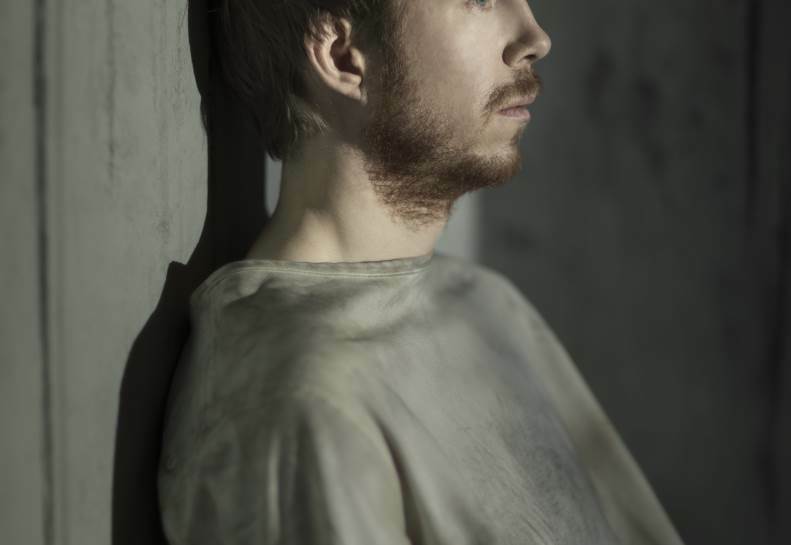 Completing a trilogy of Louis Couperus adaptations for Toneelgroep Amsterdam, Klein Zielen (Small Souls) is the kind of magisterial theatre on which reputations – such as Ivo van Hove’s – are sustained. 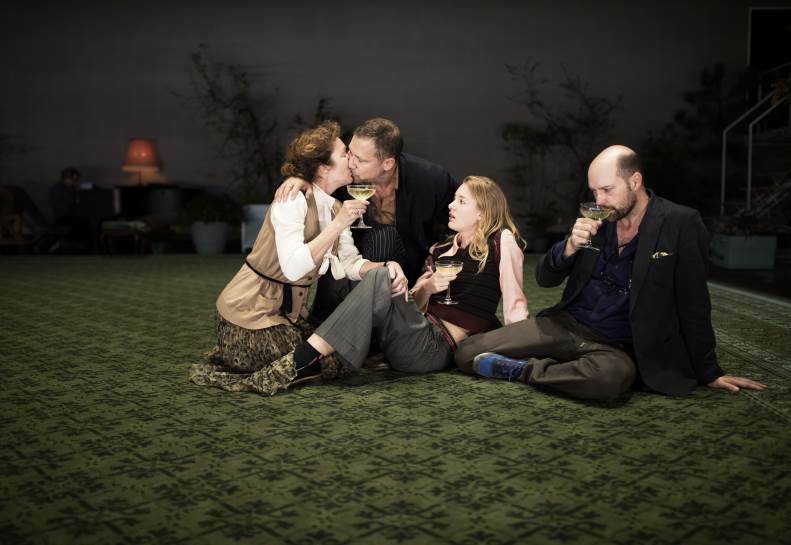 Couperus is a Dutch writer with a kind of Rattigan-like status as his work is revived here and Klein Zielen is no exception, a study of a family living under the same roof but shattered by the neuroses and traumas of the past that haunt every moment of their existence. 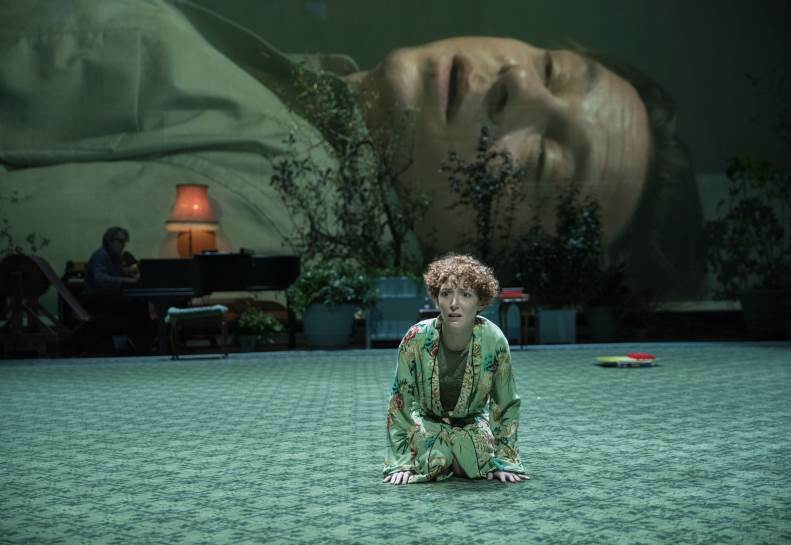 This is about as lo-fi as van Hove gets, just the one video insert betraying any technological leanings, recalling the stark intensity of A View From The Bridge. And here again, you see the razor precision that he instils in his company and the way they relate to each other, interact with each other. 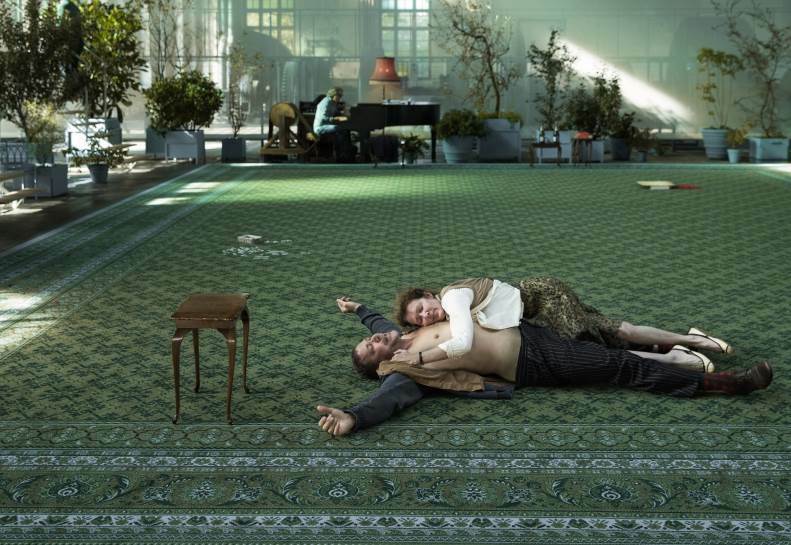 As they each move around the wide open space of the Rabozaal carpeted in a ginormous rug, so much is said about their relationships in the juxtapositions they create. 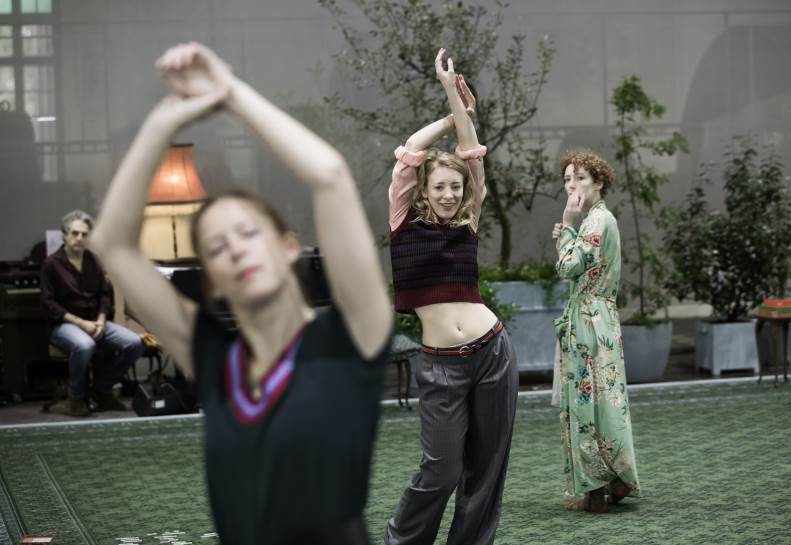 From Frieda Pittoors’ Moeder gradually withdrawing herself from life by rarely leaving the sanctuary of the plant-life that frames the stage to Maria Kraakman’s Mathilde, unwilling – or unable – to integrate into the family she’s married into, isolating herself on the upper levels. So too in moments of closeness, of disturbing intimacy, as fondness twists itself into desire, as sexual repression is uncorked to shattering effect. Writing at a similar time, it is tempting to see Chekhovian echoes in Couperus’ examination of the corrosiveness of stasis, of unfulfilled lives and frustrated passions. And Kleine Zielen carries the same awful weight, especially once light is spotted at the end of the tunnel and hopes are lifted – will anyone get the happy ending they’re dreaming of? No spoilers here but suffice to say that the exceptional Chris Nietvelt is never better than when carrying the entire weight of the world in the lugubrious depth of her voice as Constance. There’s strong work too from Hélène Devos and Noortje Herlaar as the children of Constance’s brother who she now looks after. Devos’ Marietje, psychologically scarred by witnessing the aftermath of her father’s suicide, provides the most emotionally affecting performance of the evening but Herlarr, as the superficially more well-adjusted Gerdy is utterly compelling as we come to see the other ways that damage can be inflicted on the young. The atmospheric swells of Harry De Wit’s live music underscoring the action is a vital part of the emotional texture of this world, its stabs of grand piano and clarinet squiggling (a technical term, I assure you) just as effective as the echoes of ‘Somewhere Over The Rainbow’. 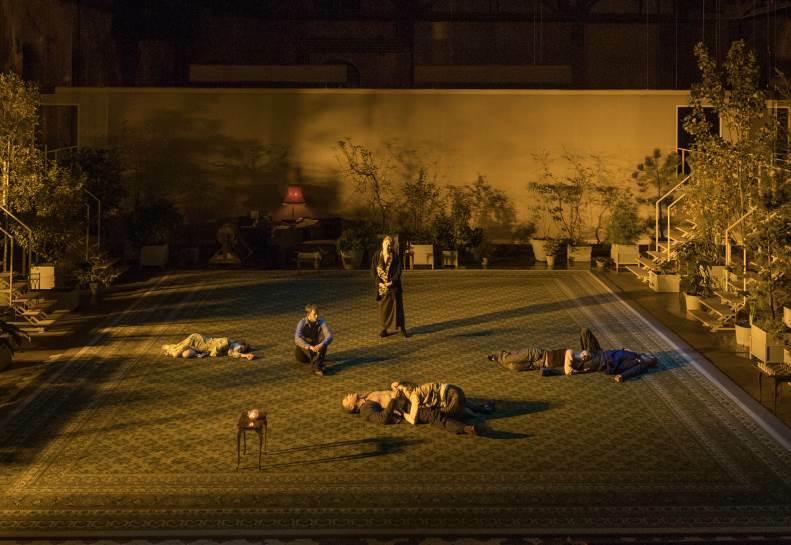 And the shifting tone of Jan Versweyveld’s lighting design is utterly gorgeous. It all adds up to subtly devastating effect as we discover over and over that no matter how small the soul, the pain it feels is no less acute.